Look Out, A Vampire! Aah! 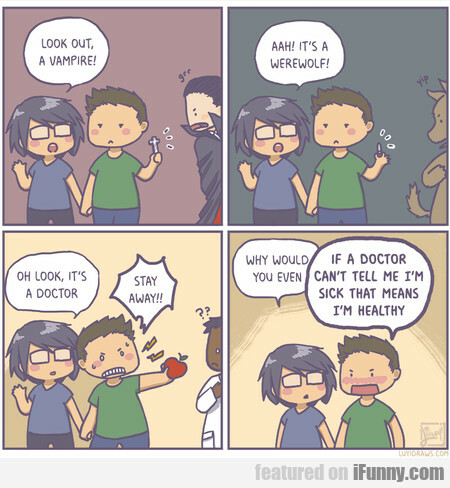 It's A Werewolf!